December 2 is International Abolition of Slavery Day. 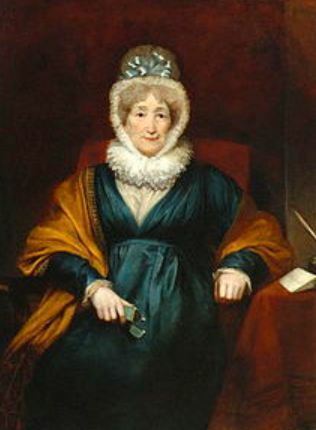 Hannah More who lived from 1745 to 1833 was a well-known writer of her time. Educated by her father who ran a girls’ boarding school, she suffered a broken engagement early in life with led to a nervous breakdown. However, upon recovering she pursed a prolific writing career. Her first works were moralistic plays for schools. Her book Sacred Dramas went through nineteen editions. She became friends with Samuel Johnson, Joshua Reynolds, and David Garrick, going on to write successful plays for the stage. Her play Percy was performed at Covent Garden to great success. Under the influence of William Wilberforce she become very involved in the anti-slavery cause. The excerpt below was taken from her poem The Black Slave Trade written in the 1790s. Slavery still exists. Read Today’s Hidden Slave Trade to learn more. Thanks for the interesting history (her story) on this brave woman. I am overwhelmed by the number of women writers and thinkers that I never knew about until I started researching for this blog. You may want to submit some of it to Jennifer L. Shelton over at FemCentral. She showcases a Woman of the Week. Her site is filled with the woo woo, so to speak, and I’m not sure if you’re into that. I think the Woman of the Week might be right up your alley.